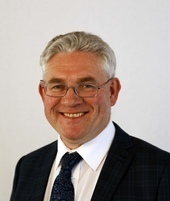 An angry war of words has erupted after leader of North Ayrshire Council, Joe Cullinane, accused Cunninghame North MSP, Kenneth Gibson, of misleading the public over council’s budget. Accusing the MSP of manipulating budget figures he also challenged him to a public debate on the issue which he suggested could be independently chaired by a local government trade union branch representative. 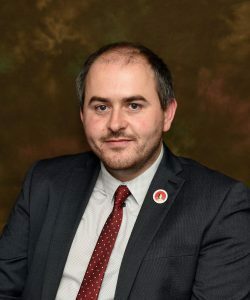 Councillor Cullinane when quantifying the budget described a revenue budget gap of £22.5 million in 2019/20 following a 2.3 per cent cut to its core revenue grant from the Scottish Government while Mr Gibson described the allocation as an increase of £23.2 million and an 8.3 per cent increase. Describing the calculations as ‘questionable’ the Labour council leader accused the SNP MSP not only of combining revenue and capital grants but also including flood defence funding associated with the increased cost of the Millport Flood Scheme and the return of capital grant that was removed from the Local Government settlement in 2016-17 but was promised to return by 2019/20. Explaining that the flood defence funding is allocated in one single year and is non-recurring, the funds are not spent immediately as the flood schemes take a number of years to develop. 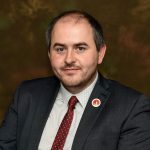 Councillor Cullinane said: ‘This is the worst budget settlement that North Ayrshire Council has received in recent years and yet Mr Gibson is trying to tell his constituents that the Council’s budget is increasing by 8.3 per cent. ‘Mr Gibson has form when it comes to manipulating budget figures and it is becoming increasingly clear that he is doing so to mislead local people in advance of the Council setting its budget. 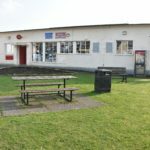 ‘The Scottish Parliament directly controls over 80 per cent of North Ayrshire Council’s revenue budget and effectively control the rest with their council tax cap. It is time that MSP’s, like Mr Gibson, were not only held accountable for the appalling underfunding of councils but were also challenged to stop misleading voters. Responding on Wednesday Mr Gibson said: ‘I was actually at a debate today, speaking about the Ayrshire Growth Deal. I debate such matters with Labour colleagues in the Scottish Parliament on a regular basis. ‘Councillor Cullinane should seek to debate Cllr Marie Burns, leader of the opposition on NAC. North Ayrshire Council have set Wednesday February 27 as budget setting day when the Scottish Government funding is allocated and set for the year. North Ayrshire Council leader Joe Cullinane.